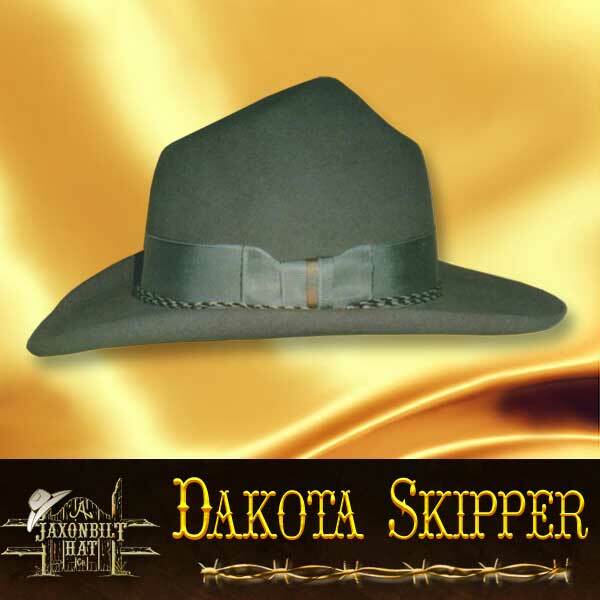 The Dakota Skipper is the newest hat added to the JAXONBILT old west and movie hat line up. The name is borrowed and the hat designed by a SASS member. Her handle being Dakota Skipper. 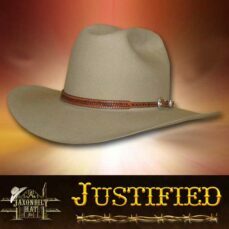 We enjoyed building the hat and really liked the looks and are now offering it to other JAXONBILT customers. 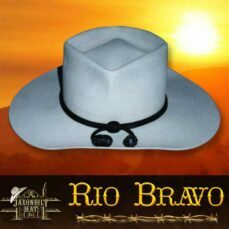 One of the nicest looking old west style hats we’ve seen. A trim 3” to 3 1/2” brim and a modest 5 3/4 crown. The crown is dished out in the front with a kick in the back. 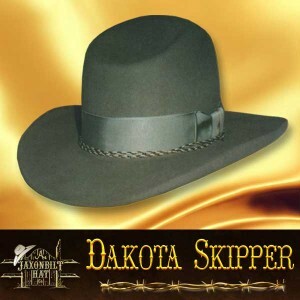 Wide crown ribbon, natural horse hair stampede and a 3/4 brim curl finishes the fine lines of this perfect hat.